This is intended to be the first in a series of articles looking at the Internet of Things from a Product manager’s perspective. This series will provide analytical tools on what the IoT protocol can bring to your product, How to implement it and How to extract “maximum” value as well as good vs bad practices. A lot of Ink has been spilled on how the IoT will define the next generation of new products. As happens with any new technology, or in this case protocol, much of this ink has promulgated the tactical “cool” benefits at the expense of the strategic. How does the Internet of Things protocol improve your device, product managers? To answer this question, lets take a gander into how devices usually improve. Historically, devices improve incrementally by increase the depth of their capabilities and/or the breadth of their capabilities. Depth of Capability refers to the increase in the quality of any a feature of a product (whatever the metric for quality may be) with every next iteration of a product. Breadth of capability on the other hand represents an increase in features and capabilities with subsequent iterations of a device. Lets take an example illustrating both depth and breadth. When the need for writing instruments first reared its head, man was in his infancy looking to share the images he saw in his head. He probably observed the black soot that gathered under the ever present fire in the cave and used a stone to draw something creating the first crude writing implement/pen. However, the uneven quantity of the tip of the rock and the subsequent unevenness in writing as well as lack of “fine” point when it came to drawings led to the first iteration. This first iteration, the feather pen and liquefied ink in a bottle improved the quality of writing but was still easily breakable, and the writer had to lug ink around. As perhaps a response to these new needs of making the device more unbreakable, and to save writers from lugging ink around, the width of features offered in a writing implement was increased and we got our fountain pen. This nifty little device was made of metal (and hence offered greater sustainability) and stored ink within its body (hence offered mobility). Eventually, new needs were identified stemming from fountain pens running out of ink were identified and we got our Gel and ball pens. Ultimately, we humans share a forever-feedback-looping symbiotic relationship with our devices. Our devices evolve to meet our ever evolving needs. Our needs evolve as a result of changes in devices. However, there have historically been limits to this type of evolution. The most often seen limits are physical engineering limits. Despite being launched in the ‘80s laptops were not popular because of the sheer heaviness. The evolution of desktop computers was limited by sheer Engineering challenges. Alternatively, look at the early cell phones. Owing to their sheer heaviness, they were not pupluar during their early days. Infact their weight defeated their stated purpose of mobility and therefore required multiple generational improvements to the technology (and hard work by the folks at Palm, Nokia and Iridium) to become popular. Evolution of devices is also limited by the logical limits. These limits refer to capabilities that have no alignment to the existing use cases of a device. A simple example is a toaster-bathtub or a razor-cellphone (Sorry, Rong Zun 758). Other examples include LG’s LCD TV Refrigerator (with DVD Player connectors). The Logical Limit problem is exemplified by the disparity in the two use cases which have been brought together. Pragmatic Limits occupy a space between the Physical limits and Logical limits. While additional capabilities can be added to an existing device without make it physically unwieldy, it only makes logical sense some of the time. To illustrate, let’s assume that Mrs. Coffee Inc. is deliberating creating their next coffee maker, this time with a toaster, where the user can make both coffee and toast by using a time based switch. In essence, the user can set a time (6:30 AM for instance) for the device to make both coffee and toast. There are obvious pragmatic limits to such a device. The two use cases, Make Toast and Make Coffee are aligned in the morning, but later during the day, they make no sense together. Is the improvement delivered to the lives of the end users enough? So what does this have to do with IoT? IoT and M2M provide us with an actionable protocol to the usual methodology of “just-keep-adding-more”. Through enabling two machines to intercommunicate and coordinate, the need to physically meld two products together goes away. Let’s take a hypothetical case. The limits to iterating your product are obvious. The first is largely a pragmatic limit. Even though it makes sense some of the time, is the value delivered to the customer enough to deliver a physical screen? With inbuilt speakers, the limit is logical. Is it logical to provide an extra set of speakers (and charging the extra cost to the customer) when he perhaps has a perfectly serviceable set of speakers in the TV, or better yet, in his entertainment system? A built in Popcorn Unit presents multiple challenges including physical, logical and pragmatic. Is it physically possibly to segregate the oily, buttery popcorn unit from the easily damaged internals of an electronic device? Are the two use cases logically consistent all the time? The M2M and Internet of Things protocol provides us with a revolutionary toolset to overcome these limits and actualize the certainly valid ideas behind the limits. It does this through convering all devices into one single logical device. Through coordinating when it is “appropriate”, devices intelligently overcome the pragmatic limits. Hence, the blu-ray player will request the microwave to make popcorns when Predator is at to 5 minute mark. Alternatively, the blu-ray will communicate with your phone or tablet, or even the built in screen of your car to stream the movie. It will also communicate with your audiophile grade speaker set to play the sound hence eliminating the need for physical “merging” of two devices. By giving us a way to overcome these limits, IoT and M2M have the capability to make our devices the must have for the holiday season. Postscript: The next in this series will cover the “right” questions to ask when implementing IoT in your devices. Product Manager, Digital Technologies. Abhinav has spent the last decade with some of the biggest Fortune 500 retail and Consumer Goods firms in the NA and EU markets. His love affair with Social Analytics started during the dark ages of Social Media with Friendster, when he built the very first metrics for a large Consumer Goods major. For the last few years, one of his focus areas has been social and voice of customer analytics adoption into New Product Development processes. 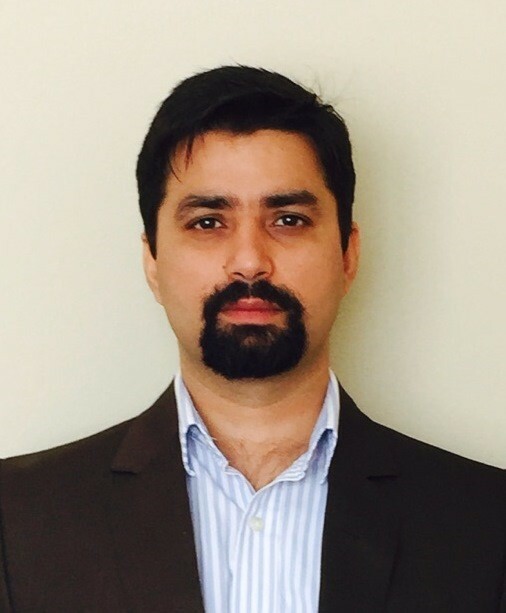 He is an MBA (AIM, Manila), B.Tech., Certified Product Manager, Certified SCRUM Product Owner and CSCP. Thanks a bunch! needless to say, your read is much appreciated, monsieur! Certainly interesting way of looking at it. While i do agree that this is a revolutionary new paradigm there are unresolved issues including who initiates, and of cpurse commanality of protocols. Fair points both. I plan on tackling both of these issues in later articles, but let me give you a quick skinny on the first, in the meanwhile. Who Initiates: Ultimately, IoT today behaves like a walled garden. Fitbit will only work with the fitbit service. This one to one model is counterproductive to the customers and for any increase in “value” to the customer, a principle of “service neutrality” must be followed. This service neutrality refers to the capability of a third party service to interact with a unique device (or set of devices) – Ill be talking more at length regarding the applicable principles in a later article.